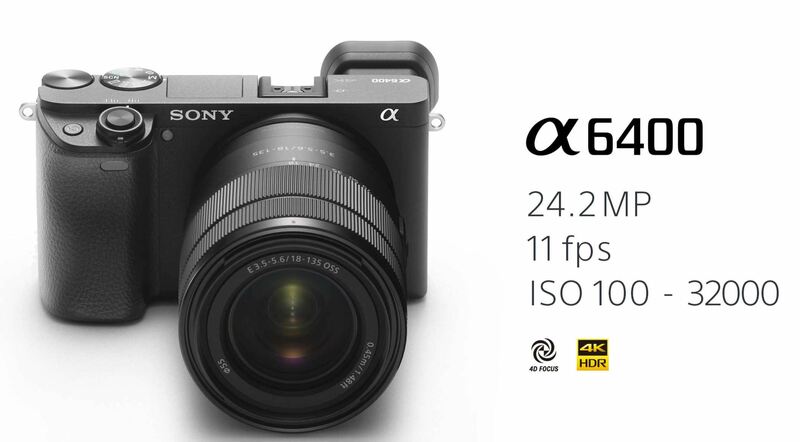 Sony a6400 is an APS-C-format mirrorless camera that adopts many of the features normally reserved for their full-frame lineup. This includes an autofocus acquisition of 0.02 seconds, Real-time Eye AF and Real-time Tracking capabilities, high-speed shooting up to 11 fps and silent shooting up to 8 fps, both with AF/AE tracking, an upgraded BIONZ X image processing engine, a fully tiltable 180° LCD touchscreen, UHD 4K movie recording with full pixel readout and no pixel binning, internal recording for time-lapse videos, and more. Sony New Full Frame Mirrorless to be Announced Soon ! Sony RX0 Announced, Price $698 !